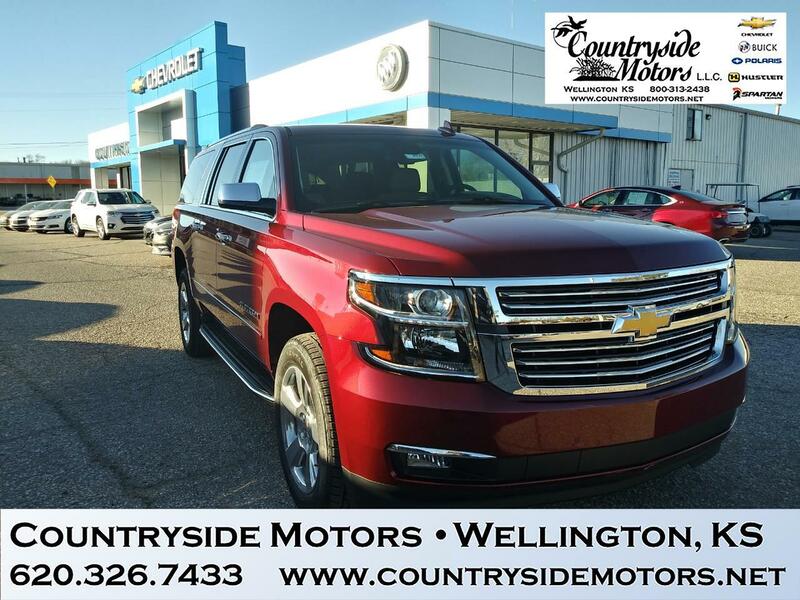 The Premier Edition means this Suburban combines space, performance, looks, technology and comfort in one package. This Suburban seats up to seven with bucket seats for the first and second rows. This Premier model includes leather upholstery, heated and ventilated front seats with more power adjustments, heated second-row seats, power-release second-row seats, power-fold-flat third-row seats, and a heated steering wheel. The first two rows are comfortable, with ample head- and legroom for most adults. The third row can hold adults in reasonable comfort for short trips. The second row does not slide, but it reclines. This SUV has two complete sets of LATCH child-seat connectors on the second row and a third tether anchor for each seat in the third row. This Chevrolet has a classy cabin. Its interior fit and finish approaches the level of some luxury vehicles. The Premier Edition is loaded with "goodies". "Goodies" include MyLink infotainment system which features an 8-inch touch screen, Bluetooth, five USB ports, a six-speaker sound system, HD Radio, satellite radio, Android Auto, Apple CarPlay, and a Wi-Fi hot spot. Wireless device charging, and a ten-speaker premium Bose stereo. The MyLink system has a large screen and accompanying physical controls for some functions. System is compatible with Apple CarPlay and Android Auto which is a nice touch. This large SUV has 39.3 cubic feet of space behind the rear seats, 76.7 cubic feet behind the second row, and a total of 121.7 cubic feet behind the first row. Those are some of the best-in-class cargo capacities. Chevrolet powertrain for this Suburban is a 5.3-liter V8 engine that puts out 355 horsepower and 383 pound-feet of torque. This engine comes with a six-speed automatic transmission. An EPA-estimated 15 mpg in the city and 22 mpg on the highway. The Suburban provides a serene ride. It may not be sporty, but this vehicle remains poised around turns. The steering is responsive. Rear-wheel drive comes standard, and this model features four-wheel drive. Contact us for even more information on this luxurious ride!